Marketing leader will help Mudlick Mail expand into new verticals. “With her wide ranging experience and proven ability to grow sales, Darice adds a new dimension to Mudlick Mail’s marketing efforts,” said Mudlick Mail President Tim Ross. Direct mail provider Mudlick Mail has appointed Darice Norton as its first marketing director. A marketing leader adept at building business in new markets, Norton will help Mudlick Mail expand into new verticals. Over her 20-year career, Norton has built a strong portfolio of devising successful strategic plans and innovative programs to significantly boost bottom lines for a variety of companies. She joins Mudlick Mail from Tennant Company in Minneapolis, where she spent the last eight years in increasing marketing management roles. 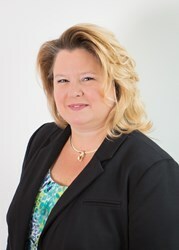 Before her work at Tennant, Norton developed strategic marketing initiatives and delivered long-range tactical plans for such companies as software maker Firepond Inc., pharmacy benefits provider Medco Health (now Express Scripts) and Uni-Select USA, a distributor of automotive replacement parts. Norton will oversee all of Mudlick Mail’s marketing programs, develop online and off-line marketing strategies, and lead focused efforts on growth within existing and new markets. Founded in 2008, Mudlick Mail offers strategically-targeted direct mail campaigns that allow advertisers to identify potential new customers based on a variety of demographic variables. In the automotive repair industry, some repair shop owners have increased sales by as much as 40 percent using Mudlick Mail’s approach. The company counts nearly 900 customers in the United States and Canada. After posting a 37 percent increase in revenue in 2012, company officials are anticipating a more than 45 percent growth rate in 2013. For more information visit http://www.mudlickmail.com/.